The canvas used by the suspects to hide their act at a substation in Tanjung Kidurong, Bintulu. 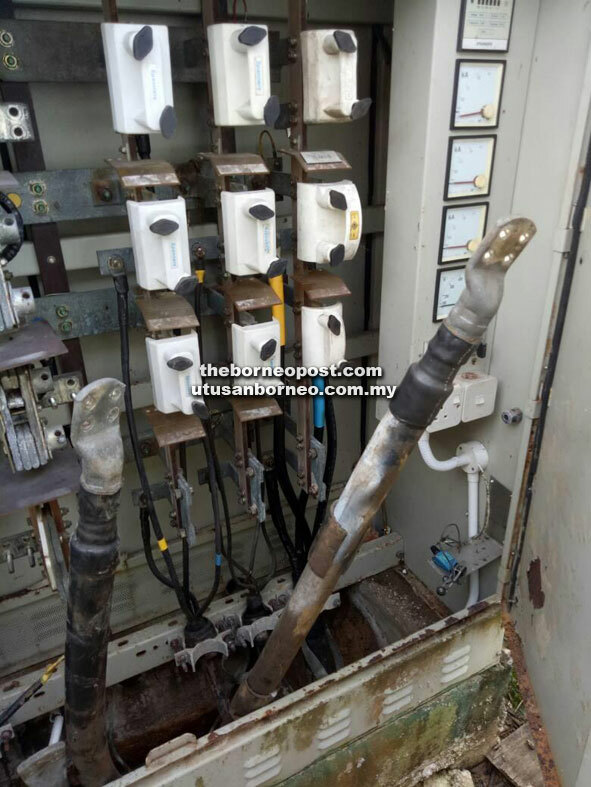 KUCHING: Sarawak Energy Berhad’s (SEB) operational and retail arm, Sesco, is experiencing a rising number of incidents of copper theft especially at secluded areas targeting electricity facilities. A statement released yesterday said the incidents not only cause supply interruptions to customers, but also affect public amenities such as street lights and telecommunication services, and puts the safety of members of the public as well as the thieves themselves at risk. 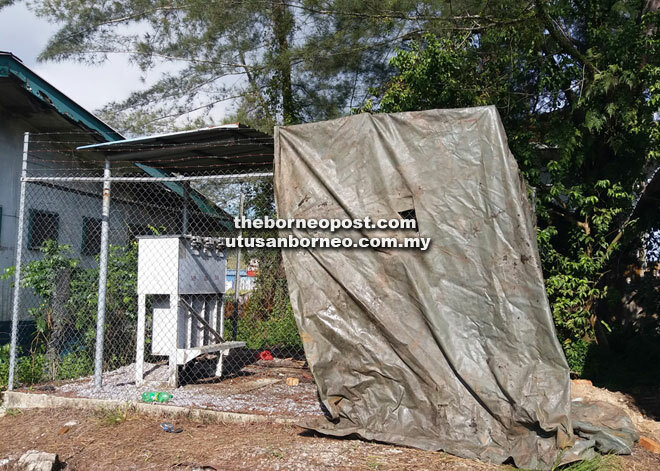 It said that an incident in Kuching occurred over the weekend where SEB Auxiliary Police (AP) foiled an attempt involving five suspects at a substation in Demak Laut, which is one of the identified hotspots for copper theft. Sesco chief executive officer Lau Kim Swee said that thieves are getting bolder and more creative, with recent incidents involving vandalism of electrical equipment in broad daylight, especially at secluded areas. The dismantled cable from a power pillar at the Sejingkat substation in Kuching. Meanwhile in Bintulu, another arrest was made yesterday when two cable theft suspects were caught in the midst of stealing cables at a substation in Tanjung Kidurong. The arrest was made in a follow-up patrol to the area following a tripping incident. Investigation showed that the substation was already vandalised where cables were ransacked from the substation. In the 9am incident, the patrol team found half of the substation was covered with canvas to camouflage the activities of the two men inside. The men were equipped with an assortment of tools, including a hacksaw, pliers, knives, screwdriver, hammer and wire cutter. Since 2015, Sesco has recorded 506 copper theft cases with losses amounting to RM6.7 million. Last year, 132 cases were reported with RM3.1million in losses, a significant rise from 113 cases in 2016, where RM950,000 in losses was incurred. The corporation spends over RM1 million annually in mitigation measures to address the matter. “Public safety is our utmost priority. Copper theft not only damages public property; it also endangers consumers and the thieves who risk their lives for quick gains. “This is not just illegal, but potentially deadly. On our part, we are continuing our efforts to increase awareness of the dangers of such activities and seek greater cooperation from the public,” said Lau. Concerned citizens may contact SEB via its 24-hour call centre on 1-300-88-3111 should they witness any suspicious activity near electrical facilities in their neighbourhood. Reports can also be logged into SEB’s ‘SEB Cares’ mobile app, available for download at the Apple App Store and Google Play.